Since Ballislife and Hoopmixtape began documenting Trae Young’s epic high school performances in Lake Norman, Oklahoma, the Young/Steph Curry comparison has seemed practically ubiquitous. With the NBA celebrating spacing the floor and shooting the three, it’s only fitting that fans and analysts alike want to identify the second coming of the twotime MVP and single-season three-point record holder. Emerging onto the scene as a freshman at Oklahoma, Trae Young has been the subject of national attention for his monster statline and bold shot selection. He currently leads the nation in both points per game–dropping just under 30 a night–and assists per game at about nine and a half per. On the surface, the Curry comparison seems logical; both players are below-average sized for their league, rely on the three-point shot for a substantial part of their scoring, are known for shooting off the dribble from outrageous distance, and the list goes on. But, taking a closer look into both of their combined bodies of work, it is pretty clear that Trae Young is not Steph Curry. Starting from their high school careers, Young and Curry traveled down two significantly different paths. Curry, despite putting up huge numbers in high school, was rated a 3-star recruit and received only one power five offer, from his father’s alma mater, Virginia Tech. He had to earn attention from his performance in college, and he did so in a very poised, consistent manner. Young, on the other hand, was a five-star recruit that was offered by practically every major program in the country, and the hype surrounding his name was apparent before he even played a college game. A lot of this hype was even created by Curry and the precedent that he has set as a three-point dominant guard. The next difference comes from their respective play in college. Although the stats appear similar between Curry’s freshman year and Young’s current year, Curry put up his numbers consistently throughout the season while leading his team to a five-loss season, with Davidson winning 17 of its last 18 regular season games. One could argue that Oklahoma plays a tougher schedule than Davidson did, but the adjusted RPI (statistic factoring strength of schedule) labels Oklahoma as 35th and Davidson as 48th in 2006, which is not as glaring of a difference. Conversely, Young’s Sooners have lost seven of their last nine and are currently on the cusp of mediocrity as the 40th rated team in the nation in BPI. Additionally, in the games against tough competition, Young’s play has seen a significant decline from the early season padding against weaker non-conference opponents. Since conference play, Young has only shot above 50% three times out of 14 games, including a stretch where he went 1-17 from three. It’s clear that his high points and assists per game statistics are a result of his insane usage rate: top four in college basketball history since the statistic was first implemented. Close to six turnovers per game, Young leads the category by a whole turnover per game, and his per game total is nearly three times Curry’s in 2006. Although Curry took some deep shots in college, his game was much more composed and under control, and he never went through cold stretches, both individually or on a team level, like Young has this year. The limitless range and crazy dribble into shot combinations was a skill he developed while learning to navigate the NBA style of play. Looking toward the NBA, there are a few physical differences between the two. By the time he was drafted, Curry measured in at a true 6’3” with long arms, still undersized for NBA standards but respectable for a point guard. 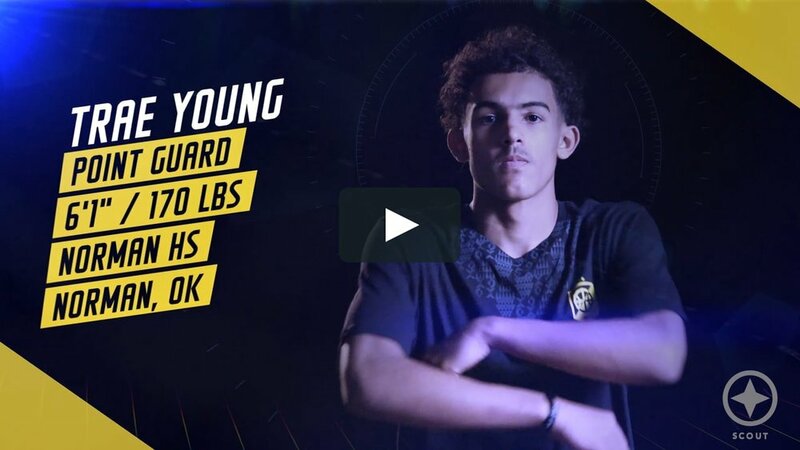 Although listed at 6’1”, Young appears to be even a few inches shorter than that, and the biggest criticism he’s received from NBA scouts has been his lack of length, athleticism, and ability to finish against more athletic defenders. Without possessing superior physical attributes, Young will look to produce using his ball-handling and shooting ability that has been fairly ineffective against better Division-1 opponents. All of this is not to say that Trae Young has hit his ceiling or that he won’t make it in the NBA. He still will be a lottery pick and could end up having a very successful NBA career. However, concerning efficiency and consistency of play and overall player development on an individual level, Trae Young is not Stephen Curry.